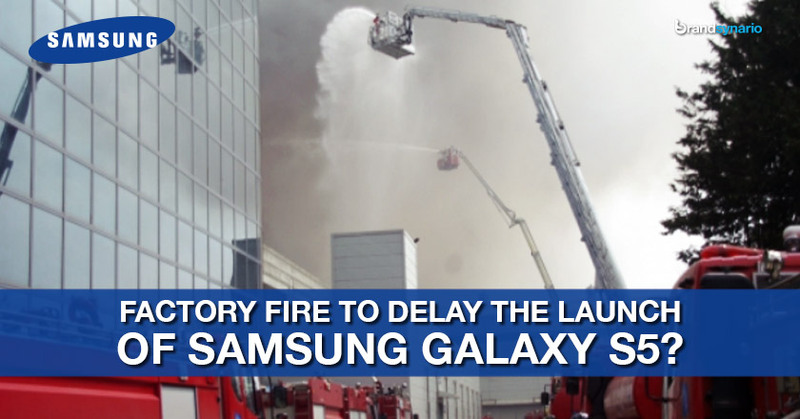 The world awaits the launch of Samsung Galaxy S5 on April 11, 2014; unfortunately, they might have to wait a while longer as a major fire broke out at a manufacturing unit in Korea. The accidental fire set a printed circuit board (PCB) manufacturing unit ablaze on Sunday for more than 6 hours. Despite the efforts of 287 firefighters and 81 vehicles, which battled the blaze, the fire caused equipment damage worth $1 billion, Asian News Agency reported. Samsung proudly revealed their much-hyped flagship phone at Mobile World Congress (MWC) where it was announced that the device will be globally available from April 11. Tech experts around the world believe the accident will affect Samsung’s grand launch plan but the Korean company is positive in times of crisis as it has announced that the fire will not delay the launch. Samsung recently rolled its first official hands-on video that has garnered over 10.6 million views on YouTube, hence reflecting the launch anticipation for the next Galaxy. With a 5.1 inches, 1080 high resolution display, 18 megapixel camera, a finger print scanner, a heart rate monitor to maintain and an all-time security check is expected to be priced between £500 – £600 (PKR. 81,000 – PKR. 100,000; the official price is still awaited to be announced.